An aide to Sarah Palin tells CBS News that there has been an increase in death threats against the former Alaska governor in the wake of the shootings in Tucson. The aide did not provide details concerning the volume of threats, how much have they increased or whether they are being referred to the authorities. A different Palin aide, Rebecca Mansour, told USA Today that the increase in threats since Saturday has been "incredible." "There has been an incredible increase in death threats against Gov. Palin since the tragedy in Arizona, since she's been accused of having the blood of those victims on her hands," she said. "When you start to accuse people of having the blood of innocent people on their hands, it incites violence." Almost immediately after the Saturday shootings, critics drew a connectionbetween the attack and a map released by Palin that used crosshairs to spotlight 20 House Democrats she wanted to see defeated in the midterm elections. One of them was Rep. Gabrielle Giffords, a victim in Saturday's tragedy. There is no evidence that alleged shooter Jared Loughner was inspired by Palin or had seen the target map. While partisans on both sides have worked to tie Loughner to their political opposition, it appears he is a young man with a loose grip on reality and muddled politics far outside the mainstream. On Wednesday, Palin responded to the criticism in a video in which she accused the media of "blood libel that serves only to incite the very hatred and violence that they purport to condemn." She was criticized by Jewish groups for her use of the phrase blood libel, which has been used to describe false claims that Jews killed Christian children to use their blood for cooking and religious rituals. 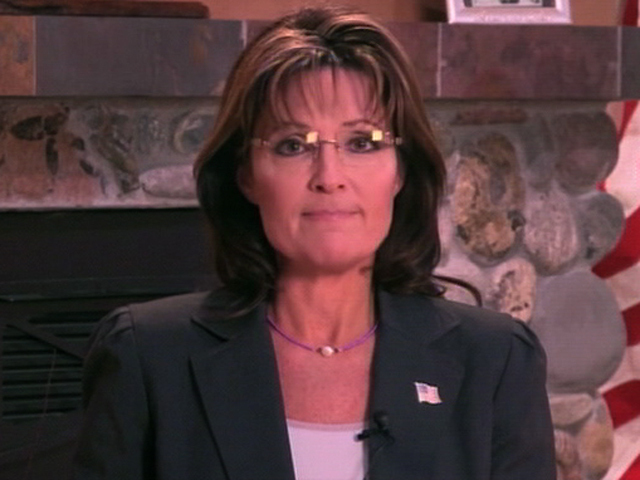 The Daily Caller reported that dozens of Twitter users called for Palin's death in the wake of the Tucson attack.